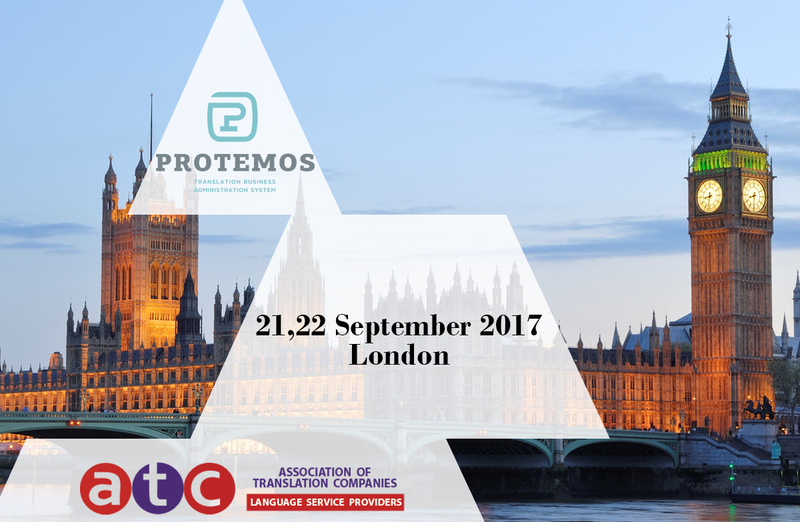 On September 21 and 22, 2017, we will visit the annual conference organized by the Association of Translation Companies (ATC) in London. It is one of the oldest and most respected language associations worldwide. This year is unique because the founder of ATC is retiring, making this his last conference as its founder. In addition to attending the event, Protemos CEO Volodymyr Kukharenko will also be a speaker. His lecture will take place on the second day of the conference, during the “Quality for Business” section. Volodymyr will talk about automating quality feedback for translation vendors, a subject of interest for many translation companies.